When it comes to healthy, tasty natural snacks, you’ll want to try UD’s. For almost twenty (20), this enterprise has steered the course and weathered the storms of surviving the challenging business environment in a small island state. 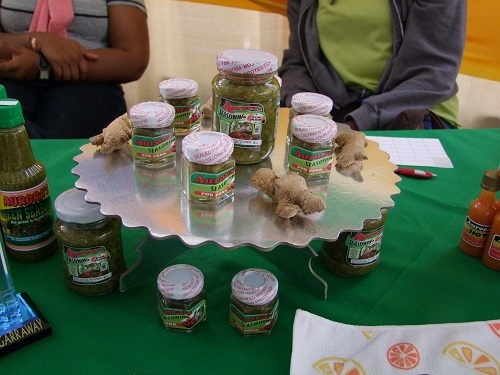 UD’s is owned by Miss Eunice Pierre, a single parent who has much experience in agro-processing. She worked for over ten (10) years with a foreign company, where she developed her skills in making plantain chips and other snack. 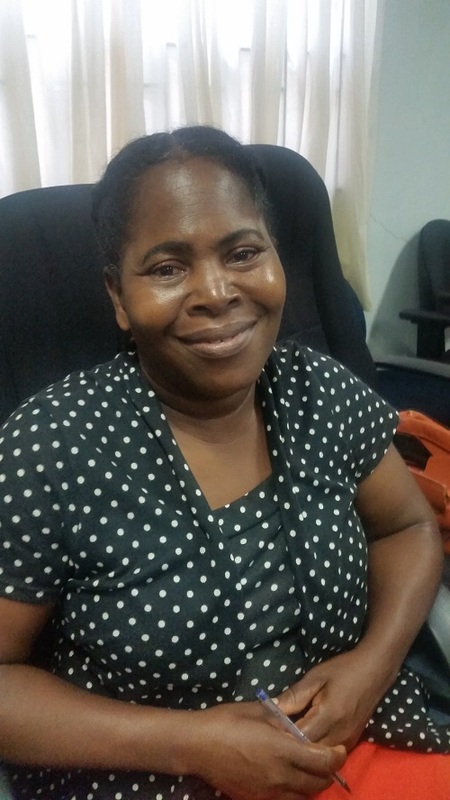 But when that company closed its doors and pulled out of St. Vincent and the Grenadines, Eunice found herself in need of a job. And although she thought of using her skills to make a living, she did not have the financial resources to start, so she approached a friend with the idea of doing a plantain chips business – an idea her friend gladly embraced. However, in 2004, Eunice finally decided to branch out on her own and started her own business. UD’s was born! The business is located at Kingstown. UD’s produces a range of plantain, eddo, breadfruit, and sweet potato chips, as well salted and unsalted peanuts. The company employs three ladies, but occasionally calls in another three on a part time basis. 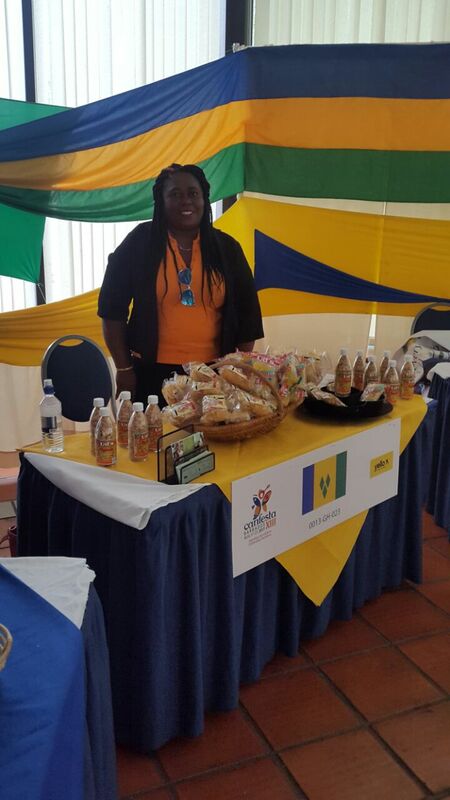 Their mission is to become the best producer of natural snacks in St. Vincent and the Grenadines and the region. UD’s is a thriving business. Their chips and peanuts are becoming the snacks of choice for persons who want to enjoy what is made locally with all natural ingredients. UD’s snacks are available in supermarkets and shops throughout St. Vincent and the Grenadines and can also be found in Tortola, Barbados and Anguilla. Jasmin Deane is the owner of Jazzy’s All Natural bath and beauty products. 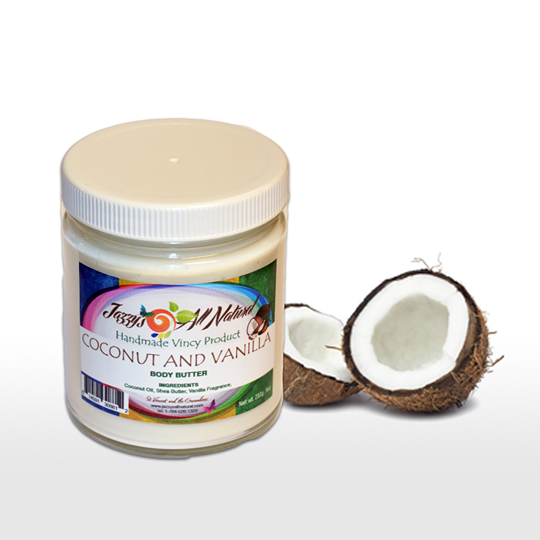 The products are manufactured in St. Vincent and the Grenadines from coconut oil and plant extracts found on the lush tropical island. The business started from divine inspiration as Jazzy began making natural soaps from her kitchen and developing them into a brand. With much hard work, she has expanded her line of products to include lotions, body butters, deodorants, lip balms, shampoo, conditioners and much more. Jazzy currently employs one full time employee and also as an initiative, employs youths on a part-time basis to help to encourage and build their creativity, work ethics and self-esteem. She has taken her business from a vending platform to opening her first store in February 2016 in capital city Kingstown. In February, 2018, a second branch of Jazzy’s All Natural opened at the Cruiseship Berth. 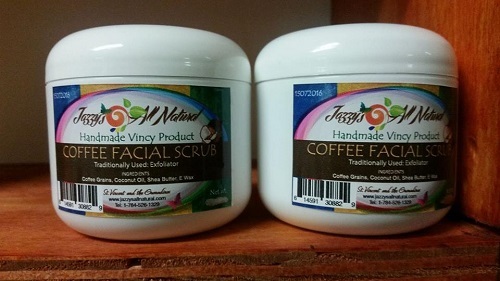 Her products are also available at various outlets in St. Vincent and the Grenadines. Jazzy’s All Natural won the Best of SVG Award 2017 for “Best Natural Products”. She is excited and hopes to expand her business regionally and internationally and to continue to innovate new products to nourish the body naturally and to be environmentally friendly. 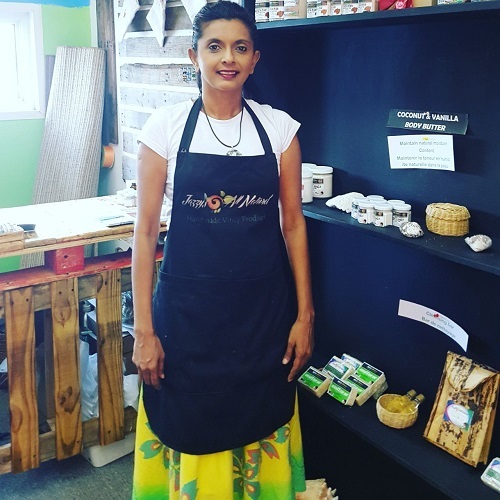 She continues to develop new and improved products such as charcoal, ginger, apple and turmeric soaps, lemongrass cream, and a range of bath balms and soaps. When Sharon Little decided to add a ‘new flavour’ to the line of products sold at her small shop in Redemption Sharpes she had no idea that her plan would turn out to be something hot. Determined to provide a decent standard of living for her family, in 1997 this mother of five decided to go into agro-processing, making green seasoning to sell in her shop. 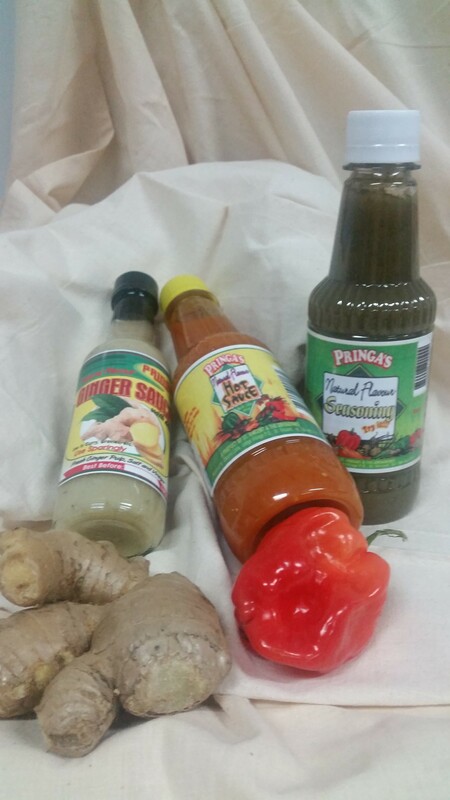 Three years later her clientele had grown to such an extent that she ventured into pepper sauce production – creating Pringa’s Natural Flavour Hot Sauce. 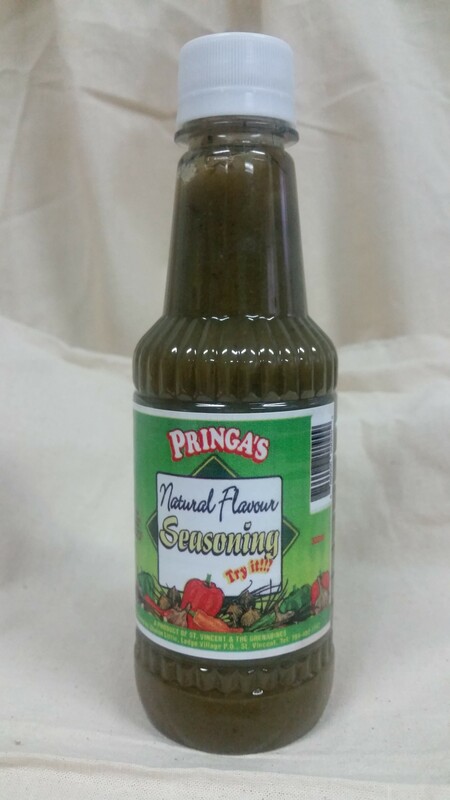 Today, Pringa’s Natural Flavour Green Seasoning, Hot Sauce, Ginger Sauce, and Guava Jelly are available at several supermarkets. “I didn’t go to any training. I did my pepper sauce off my own and I learned by every mistake, so therefore my product is unique,” she says. Mrs. Little diversified into agro-processing and closed her shop after getting assistance from the Agriculture Diversification Project Implementation Unit (ADPIU). She later approached the Centre for Enterprise Development Inc. (CED) for business advice and training. “I saw the need to get my records and so right to do my business and I knew I couldn’t do it on my own, so after hearing about CED I approached them and got business advice and started attending workshops,” Mrs. Little said. With the future looking bright for Pringa’s, Mrs. Little is looking to improve her distribution and production line. 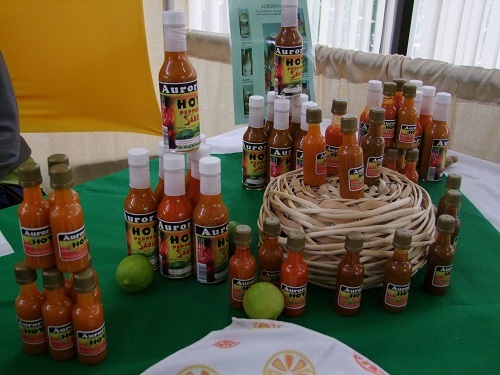 Even though her green seasoning and hot sauce are available island wide, she is now focusing on “getting the business to top level and marketing regionally and internationally” – with more assistance from CED. Ever mindful that it is not easy to operate a business of this nature and take it beyond the local shores, Mrs. Little said she is thankful that CED is here to help. “I think CED is doing a great job. 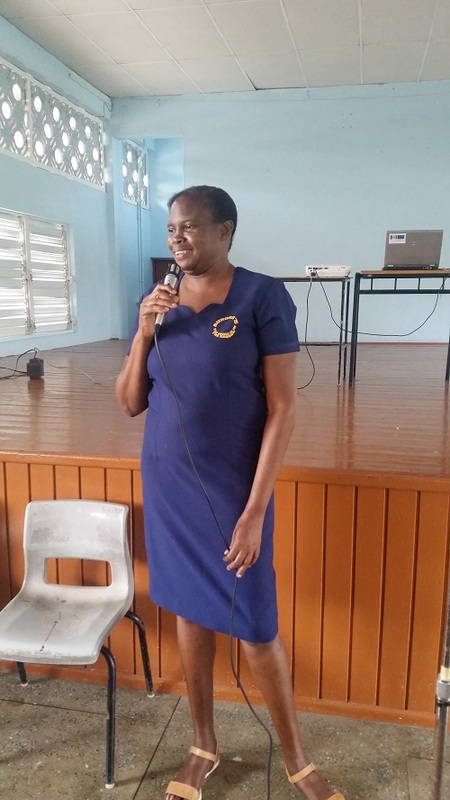 I mean people with small businesses such as mine can come to the training and visit CED and talk to their officers…they have been an eye-opener,” she said. For those that love handbags and purses, there’s a growing accessories business where you can go to splurge! It’s called Immense Bags! 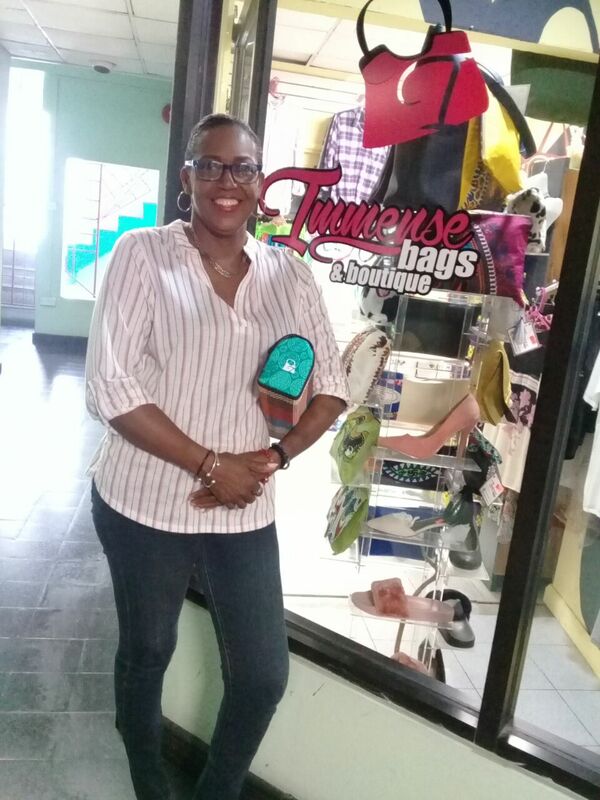 Located in the Marcole Plaza on Grenville Street, Kingstown, Immense Bags is owned and operated by Dawn Bacchus. Place her love for fashion with her eye for detail and design, Dawn is passionate about every bag she makes. She knows that for most women a handbag or purse is essential, therefore she focuses on making them unique. Immense Bags makes personalized items of all kinds that make great gifts - beach bags, clutches, purses, work bags, knapsacks, messenger bags and much more. They also produce hats and handmade jewelry. When her son suggested the business name over four years ago, Dawn asked him why the term ‘immense’, his reply was, “because your bags are always big!” And that is what makes her bags stand out – they’re big! 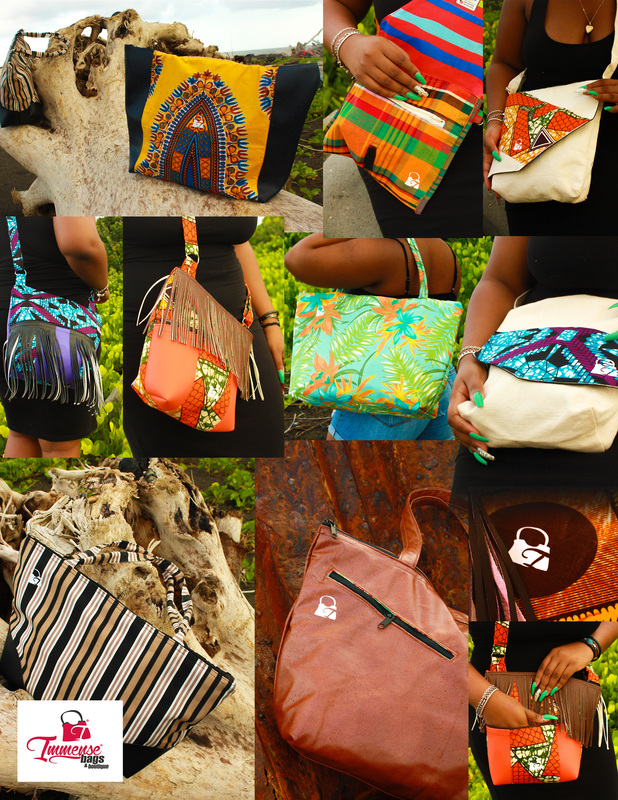 Ms. Bacchus made her first bag while in Barbados. It was a Japanese styled bag. Self-taught, she worked hard at making that first bag in one night and was repeatedly complemented when she wore it. As a result, she decided to make bags for a living. Every bag she makes is better than the last and many of them sell themselves! As a young girl growing up in St. Vincent and the Grenadines, Alita Aurora Garraway always wanted to become her own boss someday, in spite of her mother’s enouragement “to go to school, get subjects and work in an office”. When she became pregnant at age 19, she was forced to find a way to look after herself and her unborn child. She was not scared, rather she was motivated to find something worthwile to do that will help her earn a livelihood. So she began to crochet and make fudge and cakes for sale. It wasn’t long before this teenaged mother from Ashburton, Belair, found that her passion was for something else and she eventually began to make green seasoning and hot pepper sauce. Aurora’s was born and it has seen consistent growth in its productline over the years. regular, with lime juice for fish, with mint for lamb, with ginger for pork; and frozen hams: chicken, pork and fish. 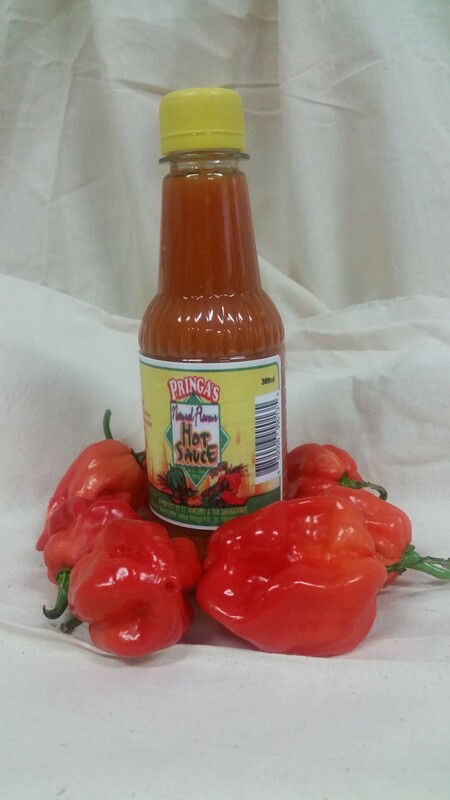 After over twenty (20) years developing her business, Alita Garraway says the biggest problems for her, like many other agro-processors in SVG – has been the availability of saw materials such as hot peppers and packaging material, in particular bottles. She says that the many challenges she encountered over the years have helped her grow. Aurora’s is now a leading agro-processing business in St. Vincent and the Grenadines. But this was no easy feat. She has had to overcome the many challenges and setbacks that small businesses tend to face in developing economies as this. However, she has remained steadfast, participating in many workshops to hone her business management skills, and trade shows to network and find new markets for her products. In 2014, Aurora’s was awarded the Best Quality Product COESL 2014 Award; then in 2015 the Regional Best Product – Agriculture COESL. Her story is one that she tells to inspire young people, encouraging them to see entrepreneurship as their best option, especially if they have a passion to do something. 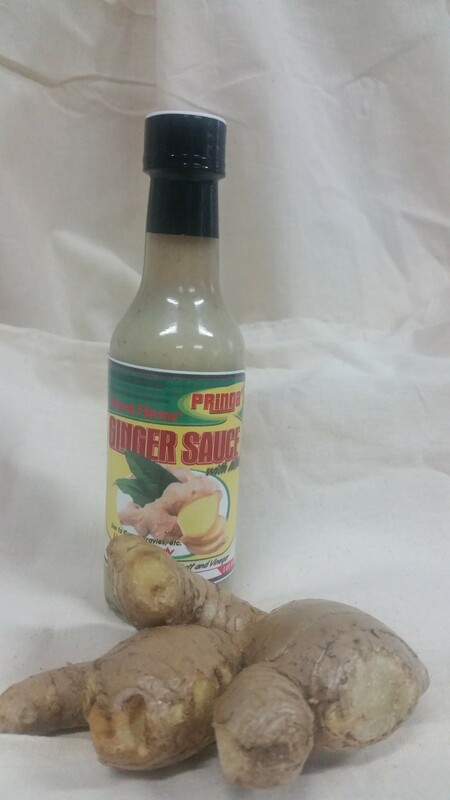 Products are available in shops, restaurants, minimarts and supermarkets on mainland St Vincent as well as Union Island in the Grenadines, and in the United States.